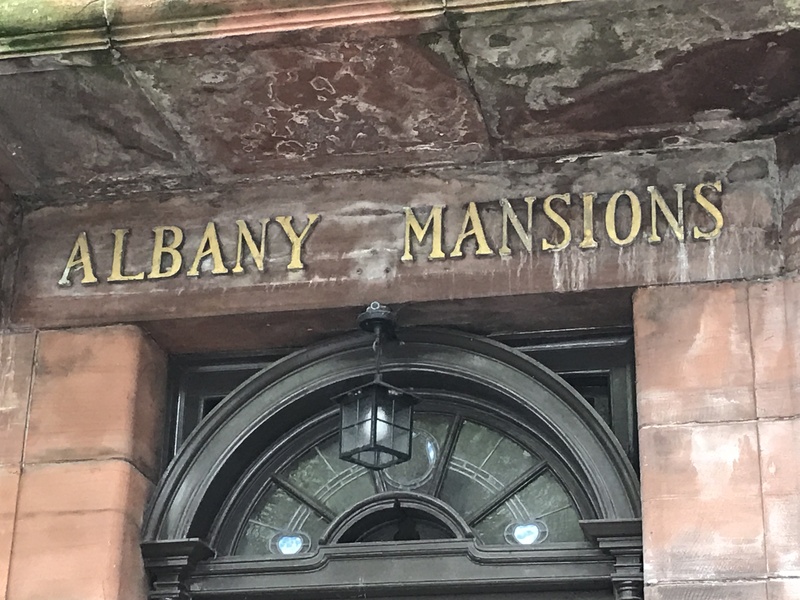 Blog>Typography>Walk down Renfrew Street in Garnet Hill to Albany Mansions. Walk down Renfrew Street in Garnet Hill to Albany Mansions. 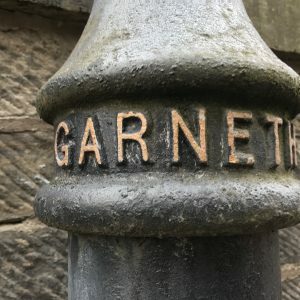 These beautiful cast iron Garneth Hill light poles in Renfrew Street originally carried gas lighting during Victorian era, love the Gothic typeface while at the end of the street is Albany Mansions which are now apartments, the B listed sandstone building was constructed in 1898 and retains many of the original Rennie Macintosh inspired period details. 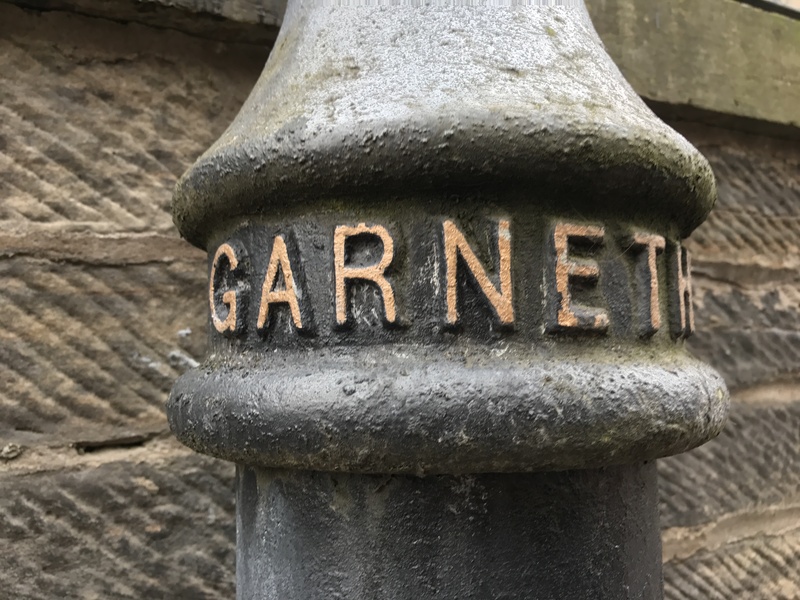 The building was designed by architect John Burnett who, it is said, was influential in securing the contract for the design of the Glasgow School of Art for Charles Rennie Mackintosh.